So actor Jussie Smollett has been arrested & charged with a hate crime hoax just days after filing a false police report that he was the victim of a racist & homophobic assault. Now if those who actually commit crimes against Black or gay youth could be just as expeditiously arrested & charged. That would be the dawning of a new day which won’t happen until the emergence of a new civil rights movement. 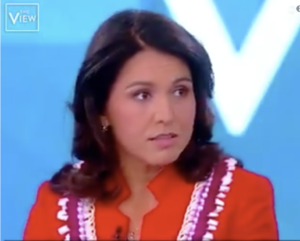 Tulsi Gabbard–Zionist, anti-Semite, Islamophobe, & Hindutva supporter–thinks she can ‘aloha’ her way through criticism to become president of the US. But her repugnant views are catching up with her. There are dozens of videos on YouTube showing her support for the Assad regime, even meeting personally with him, & denial of his war crimes, making her the longtime darling of Assadists & their favored candidate. But now she appeared on The View where she was grilled by rightwing Meghan McCain about being an apologist for the Assad regime. Putting aside McCain’s detestable politics & support for war, Assad propagandists like Beeley, Bartlett, Tim Anderson, Sarah Abed, & RT media are screaming bloody murder that she has caved to political pressure out of expedience by characterizIng Assad as a “brutal dictator” who “used chemical weapons” against Syrian civilians. But of course. If she thought being an Assadist would win her the White House, she’d still be singing that discordant tune. Opportunism is the flip side of demagogy. Now will Bernie Sanders supporters please explain away his support for Tulsi Gabbard? Or does he have to go on The View for us to get some straight answers? The intellectual lowbrows around the Nation magazine are accusing those who detest Bernie Sanders of anti-Semitism. How deftly that plays into the Zionist campaign to identify anti-Zionism with anti-Semitism. 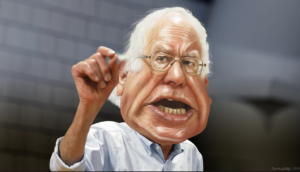 The political brief against Sanders is precisely his Zionism, his equivocations on genocide against Palestinians, his support for US wars, his support for Tulsi Gabbard (a Zionist, anti-Semite, Islamophobe, & supporter of Hindutva nationalism), & his role as a left shill for the Democratic Party. It’s not our fault that some people just can’t tell the difference between populist rhetoric & Congressional votes. 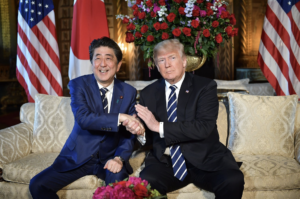 Turns out Japanese Prime Minister Shinzo Abe really did nominate Trump for the Nobel Peace Prize after Trump plied him with alcohol & asked him to while visiting Mar-a-Lago. For those who think this merits ridicule: are you serious? After Kissinger won the damn thing? And Suu Kyi? The Nobel has become the laughingstock of useless honorifics of no more value than toilet paper. Zionists all over the world are trying to get courts to rule that anti-Zionism is anti-Semitism. But it remains what it has been since its inception: a supremacist ideology rooted in colonialism. Unlike the frivolous lawsuit filed by the rightwing racist kid against the Washington Post, this lawsuit filed by 18 Palestinian defendants (including Bassem Al-Tamimi) against Zionist billionaire Sheldon Adelson has enormous political potential. They are suing him for genocide & conspiring to ethnically cleanse Palestinians from their lands. It’s a brilliant tactic since Zionist & Israeli law firms are engaging in law fare against BDS & Palestinian solidarity activists all over the world. 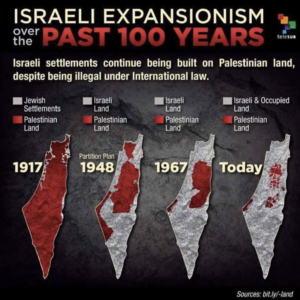 Such law suits will not effectively reverse genocide but they can serve to obstruct some settlement programs in the West Bank & East Jerusalem & they can be a powerful tool for educating about the nature of Israeli occupation/colonization. It’s the insolent punk in this video wearing the Make America Great Again (MAGA) hat who is suing the Washington Post for bias against Trump. The Catholic high school student was in DC with his school for the annual anti-abortion march at the same time as Native Americans were rallying. The right wing is falling over itself trying to prove this was not a racist confrontation but this is a video worth a thousand of their lies. An article about some of leading Kashmiri freedom fighter Maqbool Bhat’s ideas, including about the government versus the people of Pakistan. One of his most powerful is: “For us, Azaadi (Independence) means not just getting rid of foreign occupation of our beloved motherland but also to remove hunger, poverty, ignorance, & disease & to overcome economic & social deprivation. One day, we shall achieve that azaadi”. Occupation? Or more aptly called colonization?